The beauty of Rome can be sometimes overwhelming. Picture-perfect squares, majestic palaces, splendid fountains and spectacular views are around every corner. 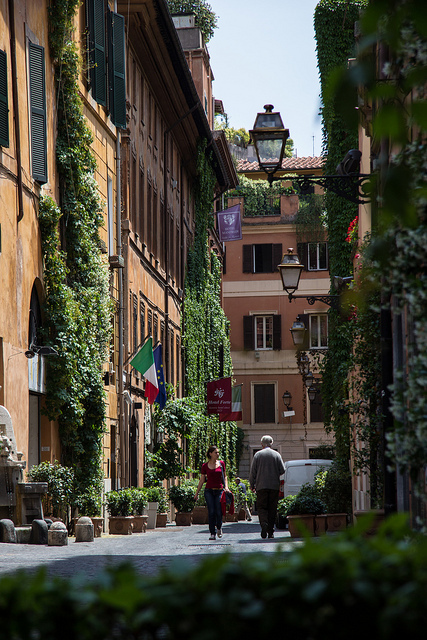 To help you to prepare for your visit to the Eternal City we offer a quick guide to its most beautiful streets. Gregory Peck and Audrey Hepburn in the film “Roman Holiday” rode in a cab to Via Margutta and since then movie buffs come here curious to see this little charming street. Federico Fellini, Claude Debussy, Giacomo Puccini and Truman Capote among other illustrious personalities lived here. Flanked by ochre coloured smothered in ivy buildings, the cobblestone street is always abuzz with swanky art galleries, antique shops, luxurious hotels and sophisticated restaurants attracting tourists and locals. Another street made famous by Federico Fellini who filmed “La Dolce Vita” here. It is lined with fancy hotels, restaurants and bars. The famous Henry’s Bar at the top of the street has a photos a dazzling array of international celebrities that have sipped their coffee here. This 19th century tree-lined wide avenue runs from Trastevere and the viewing terrace on the Gianicolo Hill and offers some of the best views of the Eternal City. Running from the Colosseum up to Piazza Venezia, Via dei Fori Imperiali has spectacular views over some of the most famous Roman ruins such as Trajan’s Market, the Temple of Concord and the Arch of Septimus Severus. 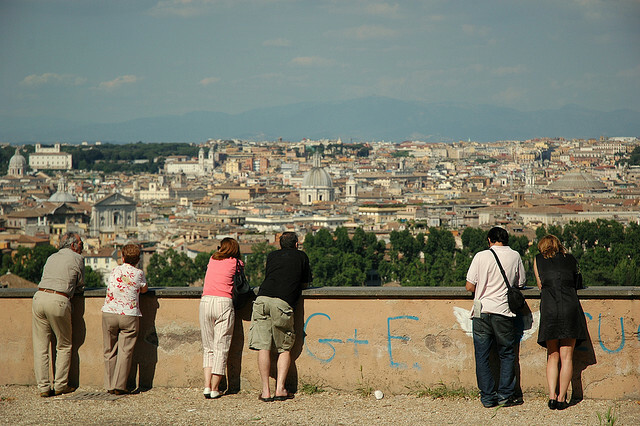 Leading from the river Tiber to St. Peter’s Square, the street is filled with souvenir shops and ice cream parlours and might not the prettiest in the city but the stunning view of the St. Peter's Basilica at the end is certainly worth a stroll. Constructed by ancient Romans, Via Appia Antica connected the Eternal City to a port in southern Italy. Some parts of the original road have been carefully restored and offer peace and quiet in the hectic city. 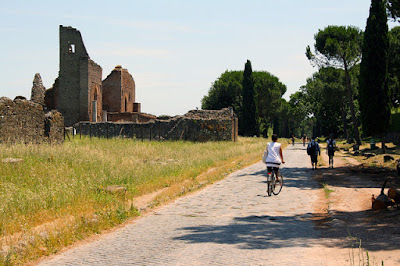 You can walk or cycle on the traffic-free stretches of Appia Way admiring green fields with flocks of sheep and Roman ruins or chill out under beautiful pine trees. Photos via Flickr by: Andrew Moore, Jay Bergesen, Shaun Merritt.